Croatian wine is still unknown to most people. Many people ask the question; "Croatia, do they produce wine?" Yes! Indeed, actually it is one of the oldest wine regions in the world. 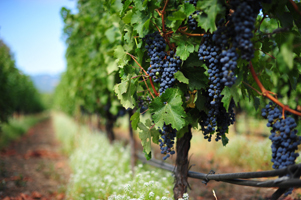 The viticulture in current Croatia existed hundreds of years before the rise of the Roman Empire. Croatian wine is hugely popular. New York's top restaurants put fine wine on their wine lists from Istria, Dalmatia and Slavonia. Japanese and Koreans are crazy about everything from this beautiful Mediterranean country. Now Western Europe is beginning to recognize the quality of the character of wines from Croatia. In the Netherlands and Belgium top sommeliers and wine writers are already convinced of the quality of Croatian wine. Are you convinced as well? Some of our wines have been voted 'Discovery of the month’ by the famous Dutch wine writer Hubrecht Duijker. We also have wine from Croatia in our ranges that have won medals at the International Wine Challenge and International Balkans Wine Competition. Croatiangrapes.com is wine importer with a top range of wines from Croatia. Our wines are all made of unique Croatian indigenous grapes with names like Grasevina, Posip, Malvasia, Frankovka and the ‘sister’ of the Primitivo and Zinfandel, the Plavac Mali. Winemakers with great passion make this wonderful wine from Croatia. Some of our wines are even eco-certified. Croatia is EU member since 2013. Modern production methods have been introduced by the larger wineries and EU rules for the wine industry have been adopted. Due to the enormous dedication and passion of the current generation of winemakers, wine from Croatia can compete again with the best in the world wine market. Croatiangrapes.com brings Croatian wine online on the market in the Netherlands, Belgium and Luxembourg. These unique wines are available in selected restaurants and shops in the Benelux. From now on you can get this Croatian wine online at Croataingrapes.com. Orders start already from one single bottle. Croatiangrapes.com imports all wines themselves. The wines from wineries Vina Caric, Kabola, Feravino, Madirazza, PP Orahovica and PZ Svirce are unique and exclusively available in the Benelux with us. Order Croatian wine online and serve your guests something different. With wine from Croatia you surprise your guests and yourself with a very special and adventurous wine. There are two distinct wine-producing regions in Croatia. The continental region in the north-east of the country (Plješivica, Prigorje, Varaždin, Međimurje, Pokuplje en Moslavina) and north-west (Slavonia and Dunav), produces rich fruity white wines, similar in style to the neighbouring areas of Slovenia, Austria and Hungary. The second wine regions is the coastal region. On the north coast, Istrian wines are similar to those produced in neighbouring Italy, while further south (Dalmatia) production is more towards big Mediterranean-style reds. On the islands and the Dalmatian coast, local grape varietals, microclimates and the rather harsh nature of the vineyards leads to some highly individual wines, and some of Croatia's best known.